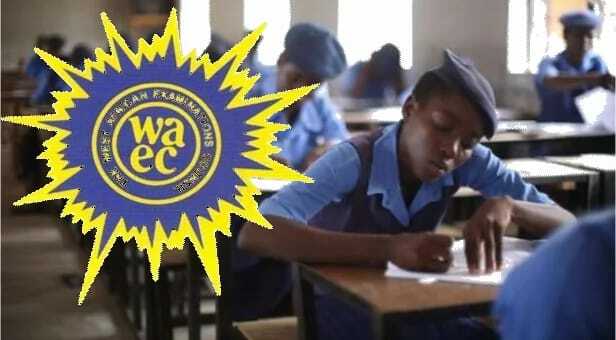 Some 214,952 candidates cheated in the May-June West African Senior School Certificate Examination (WASSCE) and their results have been seized by the authorities. Mr. Olu Adenipekun, Head of National Office of the West African Examination Council, WAEC, announced this in Lagos as he also announced the cheering news of a seven percent improvement in the number of candidates that passed the examination with five credits. Last year, 52.9 percent of the candidates recorded the feat. The number jumped to 59.22 percent this year, out of the 1,559,662 candidates that sat for the examination. Adenipekun said WAEC is still investigating the exam cheats and that the schools of the students would be duly informed soon. “The cases are being investigated and reports of the investigations will be presented to the appropriate committee of the council in due course for consideration. “The committee’s decisions will be communicated to the affected candidates through their schools,’’ he said. He said that 923,486 of the 1,559,162 candidates that sat for the examination, obtained a minimum of credits in five subjects and above, including English Language and Mathematics. The official said the percentage of candidates in this category in the WASSCE for school candidates was an improvement on what was obtained in the same examination in both 2015 and 2016, with 38.68 and 52.97 respectively. “Such errors are being corrected by the council to enable the affected candidates get their results fully processed and released subsequently,’’ Adenipekun said. The head of national office commended the supervisors, examiners, and other persons for their immense contributions in ensuring a smooth conduct of the examination. “The coordination and marking of candidates’ scripts for the 2017 WASSCE for schools was successfully held between May 24 and June 11 at 83 marking venues spread across the country. “Having said this, we will like to state also that the Nigeria National Office of the council has concluded arrangements to commence the conduct of the WASSCE for private candidates from January/ February 2018. “This is part of our commitment in ensuring quality service delivery to the Nigerian public. “I also want to seize this opportunity to inform you that with the upgrade of the council’s ICT facilities, particularly the recently commissioned HP Converged System – a private cloud, the compability of the council’s ICT has now been enhanced,’’ he said.